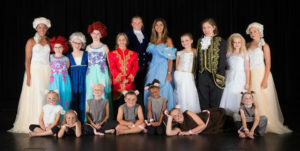 The 2018 Summer Music Theater festival involved 90 children from 10 communities in NW Kansas participating in three shows held in Atwood, Hoxie and Goodland. 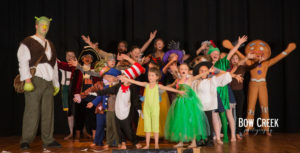 Nearly 1,000 audience members enjoyed the six performances. Volunteers in area communities shared their the time and talents to assist with costumes, sets and props, choreography and general festival exposure. Internships for area college students to learn more about what it takes to produce a show, including rehearsing, scheduling, fundraising, marketing, building sets, props and costume s were new this year.